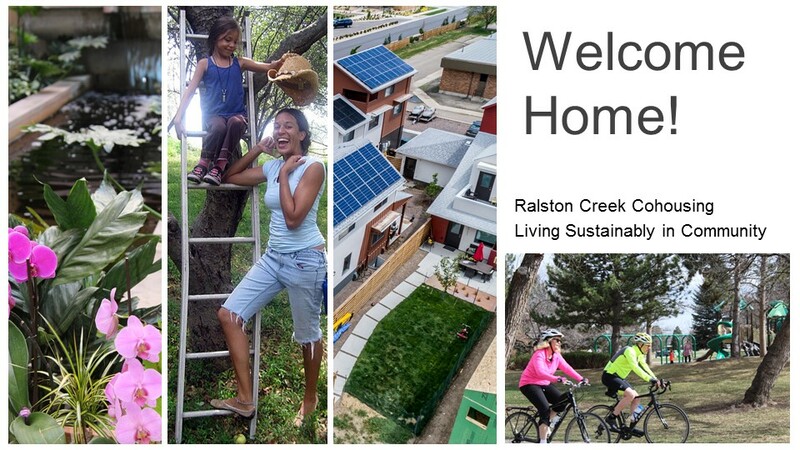 Our slide show gives you a chance to learn about the vision of Ralston Creek Cohousing and ask any questions you may have. You can come in person or virtually (at https://hangouts.google.com/call/Adc5SeCOLHSGKudPmOYjAAEE). Those who come in person candrive over and tour the Gatehouse site along Ralston Creek in the Geos Neighborhood afterwards. Call 303-704-2168 for more information.